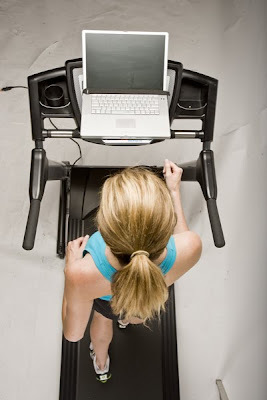 Weighty Matters: World's most affordable treadmill desk! It's call the SurfShelf and this thing looks perfect. 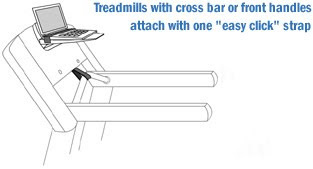 It's a simple stand that attaches to most treadmills that supports a laptop. It'll also fit recumbent bikes, ellipticals etc.